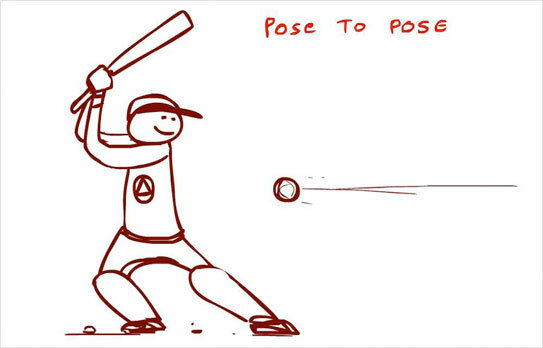 • Animate a Batsman striking the ball using pose-to-pose method. • Try to be innovative while posing the character and play with the anticipation action of the character. • Clean up the above mentioned exercise using consistent line thickness and do a line test to check the volumes and the line quality.